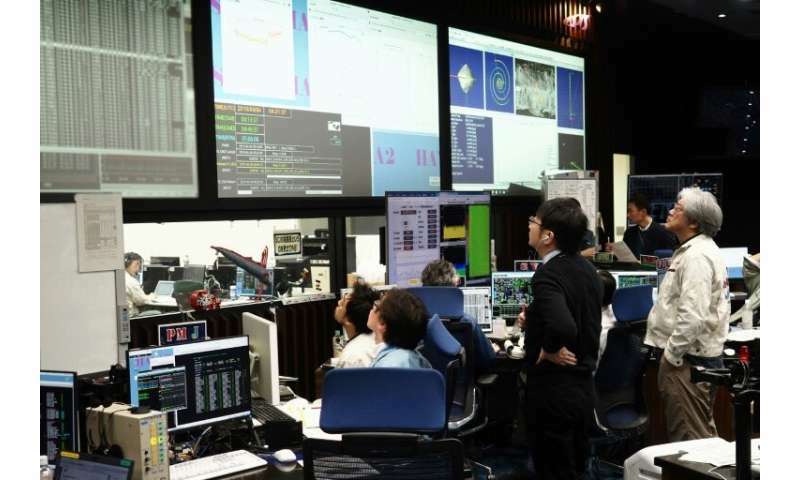 But the task scheduled for Friday will be the riskiest yet of Hayabusa2's investigations, and involves the release of a device filled with explosives. The so-called "small carry-on impactor", a cone-shaped device capped with a copper bottom, will emerge from Hayabusa2 on Friday, after the probe has arrived just 500 metres above the asteroid Ryugu. The probe will then depart the area, and the impactor is programmed to explode 40 minutes later, propelling the copper bottom towards Ryugu, where it should gouge a crater into the surface of the asteroid that sits 300 million kilometres from Earth. As it does so it will release a camera slightly above the site of the detonation that should be able to capture images of the event. The camera should be able to transmit those images, but it is unclear when the first confirmation of the mission's success will come. 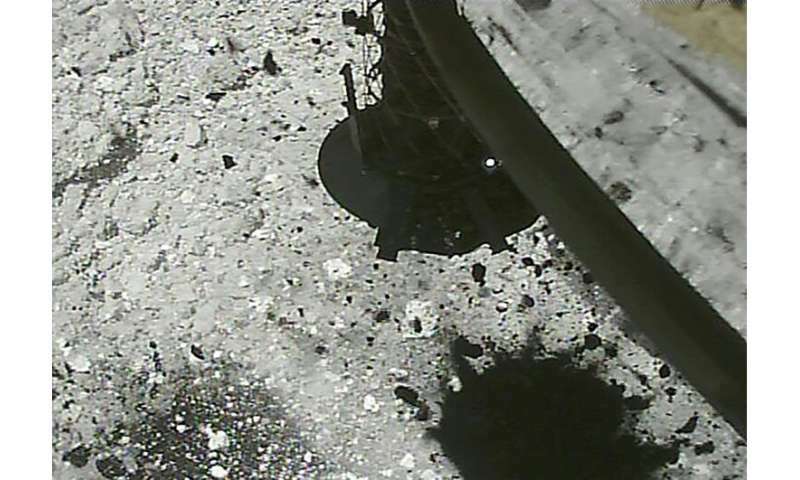 It will take two weeks for the probe itself to return to its "home position" near Ryugu after the detonation and impact. "We are thrilled to see what will happen when the impactor collides with the asteroid," Takashi Kubota, engineering researcher at the Japanese space agency (JAXA), told reporters earlier this week. The crater could be as large as 10 metres in diameter if the surface is sandy, but a smaller three metres across if it is rocky, according to JAXA scientists. NASA's Deep Impact project succeeded in creating an artificial crater on a comet in 2005, but only for observation purposes. The aim of the crater on Ryugu is to throw up "fresh" material from under the asteroid's surface that could shed light on the early days of the solar system. 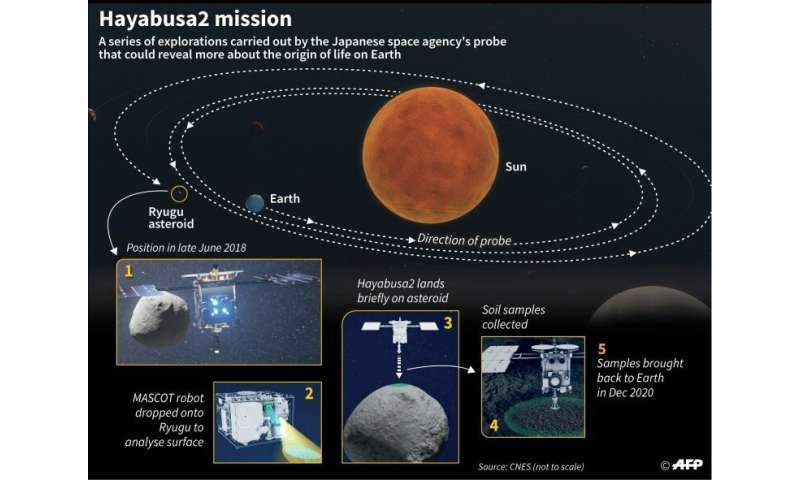 The Hayabusa2 mission, with a price tag of around 30 billion yen ($270 million), was launched in December 2014 and is scheduled to return to Earth with its samples in 2020. Photos of Ryugu—which means "Dragon Palace" in Japanese and refers to a castle at the bottom of the ocean in an ancient Japanese tale—show the asteroid has a rough surface full of boulders. At about the size of a large fridge, Hayabusa2 is equipped with solar panels and is the successor to JAXA's first asteroid explorer, Hayabusa—Japanese for falcon. The Deep Impact mission was also designed to throw up fresh material from below the surface of the comet. This it did, and the analysis was extensive. It included thousands of tonnes of solid ice grains detected amongst the ejecta, as well as the dust. The later estimate of the crater size from the Stardust-NEXT craft gave constraints on the strength and density of the cometary material. Why is a dedicated news aggregator like phys.org a day behind reporting this stuff? RT is reporting on the fait accompli already.